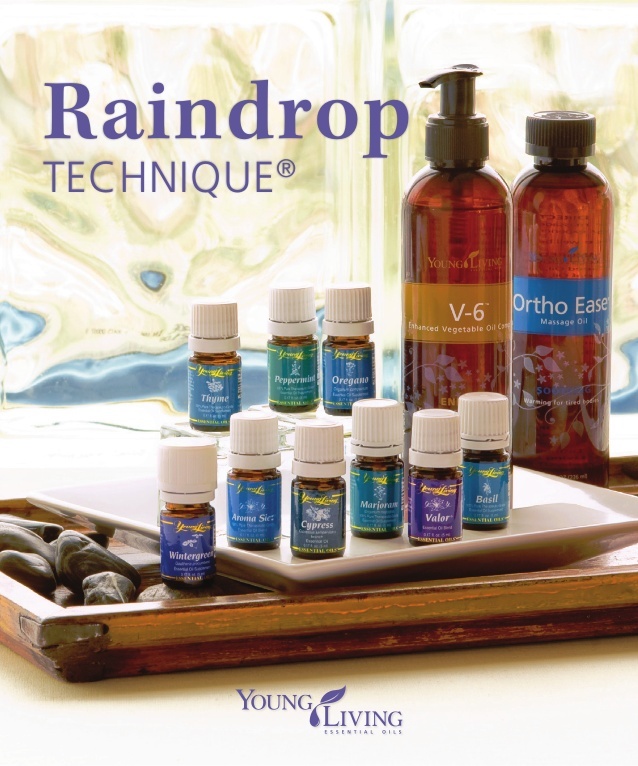 Offered by one of our Licensed Massage Therapists at Wolfe Family Chiropractic, Raindrop Therapy utilizes high-grade essential oils to create a unique healing experience for residents in Lapeer, Metamora, Oxford, Lake Orion and surrounding communites. Offering aromatherapy massage using the Raindrop technique developed and taught by Young Living Essential Oils, our massage clients may experience a number of healing benefits. We feel that chiropractic care and therapeutic massage compliment each other well and we strive to provide quality options for individuals seeking natural health options. Valor is an empowering blend that promotes feelings of Strength, Courage and Protection. It has been found to support energy alignment in the body. Oregano is one of the most versatile and powerful oils. It contains immune strengthening and antioxidant properties and also supports the respiratory system. As a dietary supplement it’s one of the strongest antioxidant known. It supports respiratory, immune, nervous, digestive and other systems of the body. Inhaling can restore mental alertness and also restore sense of smell. Also used for fatigue and muscle soreness. Cypress helps to restore feelings of security and stability. It also supports the circulatory system. This soothing oil has a warming effect on the body and mind. It helps soothe muscles after exercise and also nervous tension. Contains methyl salicylate and is soothing in massage for head and muscle tension. This oil helps provide soothing comfort. It is recommended to be used after exercise or a stressful day. Great to help massage away life’s discomforts. Call (810) 212-1200 to book an appointment for Raindrop therapy! Please note that a fee may be administered for failure to call 24 hours in advance for cancellations. Gift certificates for massage services are available at our office or by mail. Please call us at (810)-212-1200 for more information.